Have you seen the film Limitless with Bradley Cooper? His character is an out-of-work writer with writer’s block who loses his girlfriend and sees no future until he is offered the designer pill NZT-48. After taking it, he starts to use 100% of his mind, learns to play the piano in three days as well as to speak several foreign languages, and wins big on the stock market. As he climbs up the corporate ladder with dizzying speed, everything seems great… until the side-effects kick in. Hallucinations, lost time, severe withdrawal… suddenly being super human isn’t quite so appealing. But can he stop taking the drug? And if he doesn’t, what will happen to him? 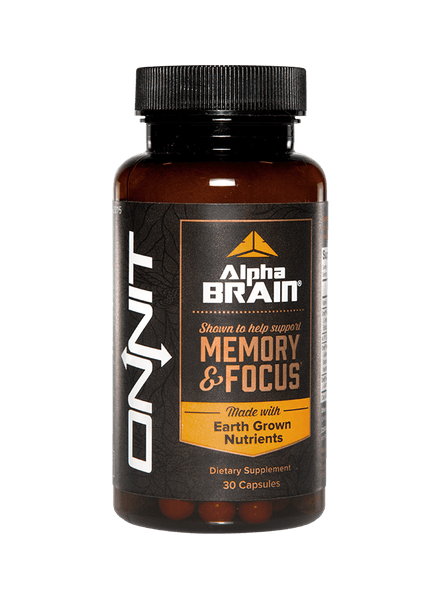 Many people in the real world know that nootropics can boost focus, memory and brainpower. What a lot of people don’t know is that a genuine nootropic should be non-toxic and safe to use. The original criteria for nootropics, as coined by the man who created the term in the first place, was that they must protect the brain and promote brain health. NZT-48, therefore, and other commonly used cognitive enhancing drugs such as Ritalin and Adderall cannot measure up as nootropics. Let’s call them ‘smart drugs’ instead. Note that I will mention them throughout this article despite that as they are commonly mistaken for, and described as, nootropics. In contrast to smart drugs, other supplements such as the racetams – a class of cognitive enhancers that boost the supply of the neurotransmitter acetylcholine – have been thoroughly tested and proven to have few side effects. 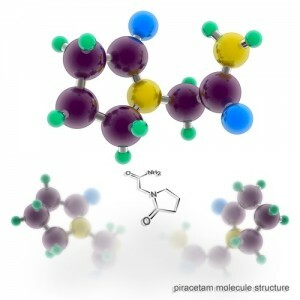 These – Piracetam, Oxiracetam, Aniracetam and Pramiracetam – do earn the title nootropics. As do numerous vitamins, minerals and herbs. What Can Increase the Dangers of Nootropics? Conclusion – Are Nootropics Safe? Genuine nootropics are considered by experts to be some of the safest supplements on the market today. Their neuroprotective properties can potentially slow age-related cognitive decline, some offer anti-oxidant benefits and others still can help to maintain and improve the basic structure of our brains. Certain nootropics are also being researched for various clinical purposes, such as tackling Parkinson’s disease and Alzheimer’s. Most nootropics have no known drug interactions, are non-addictive in the short term and do not complicate existing conditions. I wouldn’t go so far as to categorically state that they are completely safe in all situations, however. Too much of a good thing can apply here. Particularly, there is little if any research done to examine how safe nootropics are in the longer term, especially among humans. Nootropics are unregulated, so there’s no interest from big pharma in sponsoring bigger human trials. Brain scans show us that even the safest nootropics can change the way our brain works, and some experts believe they can even shrink or expand particular regions based on usage. No-one knows what this does in the long term, or how we might respond if trying to discontinue a nootropic after extended use. Some scientists also theorise that long-term use can lead to cognitive deficits as the brain slowly gets used to the drug and needs it to continue to function at the same level. Dependence may become an issue. And that’s only considering the effects on our brain. We should also consider what may happen to our physical body if we use nootropics over the longer term. Does it take a toll on our nervous system, for instance? After all, certain drugs stimulate the mind and encourage you to be alert at times when your body may feel tired. The energy needed to keep the brain vigilant has to come from somewhere. What does this do to our circadian and sleep rhythms and how does it affect the ageing of our bodies? Unfortunately, no one has an answer to any of these questions. Consider how long it took researchers to identify a potential dementia risk associated with taking benzodiazepines. Compared to those, nootropics are the new kid on the block. We just don’t know what mental and physical issues they could bring further down the line, if any. Natural nootropics may prove completely safe long-term, racetams too, but we just don’t know yet. There are so many nootropics, with different mechanisms of action, that it’s impossible to categorically state that nootropics are 100% safe for everyone. This is particularly so when we consider smart drugs as part of the package. What we know so far, however, is that most genuine nootropics (those substances which deserve the name) are generally safe in the short term, especially the natural ones. Even that doesn’t mean that they don’t potentially have some side-effects, however, although they are rare. While the definition of nootropics states that the supplements should be non-toxic and extremely safe, there are some recognised side effects of nootropics. Most of these are mild and very rare, but they can happen. They usually occur when you are either first getting used to a nootropic compound, or if you take too much of it. Usually caused by synaptic over-excitement and exertion, and when you don’t give your brain enough of the energy it needs. Often caused by excessive doses of nootropics. Usually occurs when you take stimulating nootropics at the wrong time of day or take too much of a nootropic that promotes alertness, and ‘burn out’. While rare, other potential side effects can include anxiety, nerves, depression, restlessness and changes in mood. These may depend on the individual nootropic taken. Rarer cases still can include skin irritation and rash. Whether someone experiences side effects or not may come down to their own physiology, lifestyle and genetics, as well as the specific nootropic and dosage. Just because one person experiences no side effects with a certain drug doesn’t mean that someone else won’t, and vice versa. It is worth familiarising yourself with the effects and properties of individual nootropics if you intend to make your own nootropic stack – a combination of substances – to ensure you are not mixing the wrong compounds together. There are steps you can take to reduce or eliminate most of these side effects. Nootropics are generally safe in the short term if used correctly, but there are several factors to consider that can increase any potential danger. No evidence currently exists to say that nootropics may damage a brain while it is still forming, say for example if used consistently during the teenage or university years (the human brain is likely to be fully developed by 25 years of age). At the same time, however, there is no evidence to say that it won’t be detrimental either. 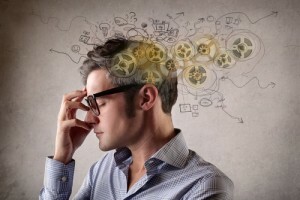 Some scientists theorise that the earlier a user takes nootropics, the more his or her brain may rely on the drugs or supplements to function, as opposed to the normal creation of pathways as a result of new experiences. Let me say again, there is no conclusive evidence on this theory either way, but as nootropics can alter brain chemistry, I’d say it’s perhaps not the smartest idea to take this stuff while waiting on your gonads to drop/do-that-monthly-thing. As I’ve alluded to several times already, another potential danger of nootropics or smart drugs is overuse or too high a dosage. We know that the effects of nootropics can vary significantly, depending on the dose a person takes. Some people end up dosing themselves several times a day in order to avoid the mental downer that comes when certain drugs start to wear off. This is never a good thing. The answer to this is obvious – opt for the minimal dose you need to be effective, and resist the temptation to increase the amount or the frequency. The longer you take a drug the more potential it has to alter your brain chemistry and the more you may come to rely on it. Certain drugs such as Modafinil, for example, have been found to stimulate the areas of the brain connected to dependence and substance abuse and may drain dopamine levels when taken over the longer term. This can lead to difficulty when trying to stop the drug. While certain nootropics may have a neuroprotective benefit over the long term, I would wait until human trials prove they are safe before making it a part of your 365 day routine. I’ll say again that natural nootropics (herbs, vitamins and minerals) and the racetams may demonstrate their longer term safety when evaluated and used correctly, but I suspect certain smart drugs won’t, so I would personally avoid these altogether. 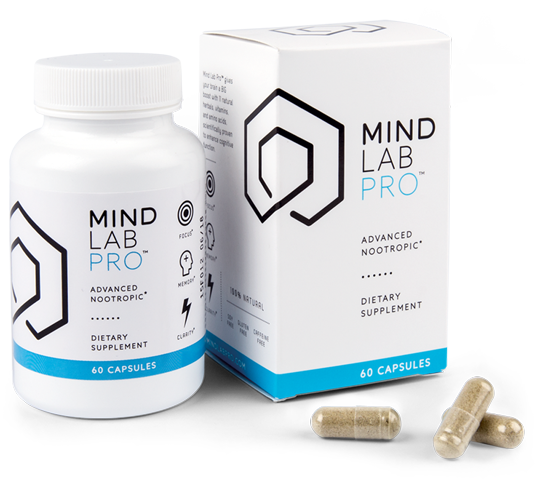 Perhaps setting the standard on supplement cleanliness and potency, Mind Lab Pro supplies 11 ingredients in its transparent, proprietary-free formula, all of which come in their best, most potent forms. Even the capsules themselves are presented as the clean, green Plantcaps®, a patented vegan capsule container that’s free of your junky FD&C colorants and unnecessary fillers. 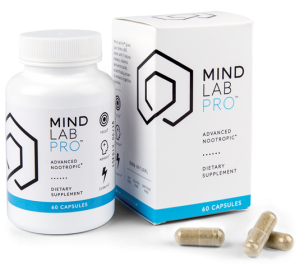 And what Mind Lab Pro accomplishes with its formula safety it matches with its nootropic efficacy — this is a nootropic supplement that’s highly effective. Perhaps as powerful and effective as a supplement can get without introducing an unusual risk of side effects. For this reason, I view it almost as a foundation nootropic stack with which to load other nootropics on as-needed. 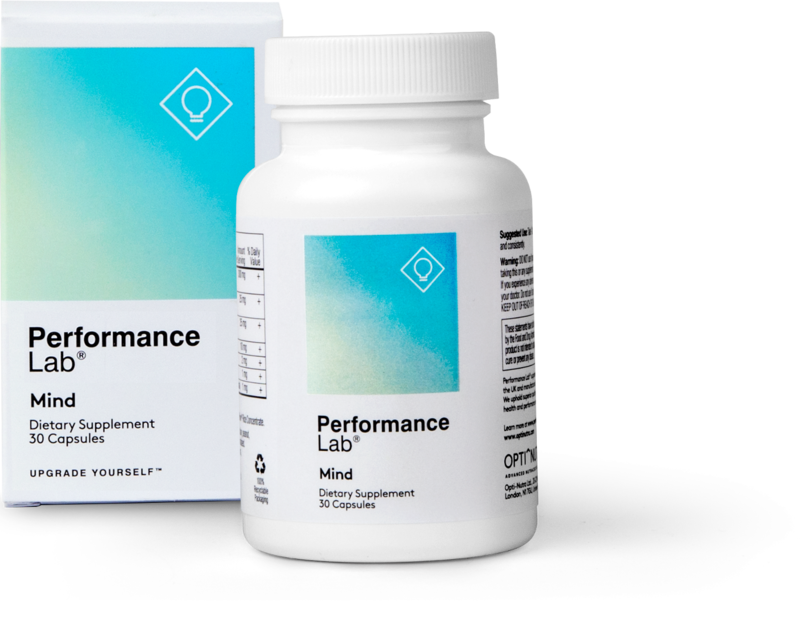 If Mind Lab Pro is one of the cleanest and most potent nootropic supplements on the market, Performance Lab Mind is virtually equal competition, given that this stack supplies four the same ingredients found in Mind Lab Pro: Citicoline (as Cognizin®), Phosphatidylserine (as Sharp-PS®), N-Acetyl L-Tyrosine, and Maritime Pine Bark Extract. And, yes, Performance Lab Mind even carries its formula in those patented Plantcaps® capsules. Arguably, Performance Lab Mind is even safer than Mind Lab Pro by essentially supplying a simpler version of MLP. 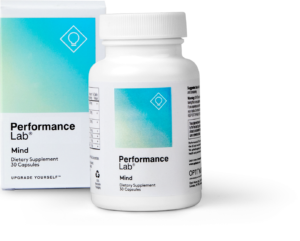 For the more advanced nootropic user, Performance Lab Mind basically provides a simple, yet powerful nootropic formula that may be safely stacked with many other nootropic stacks. Or you can just take it on its own and achieve substantial brain boosts. THRIVE – adaptogens for mental performance. Neurogenika covers several key bases on brain health, from stress relief to free radical reduction. Granted, it’s not the most powerful cognitive enhancer for immediate brain boosts and focus spikes, but it is great for long-term brain health. Which, believe it or not, is actually pretty damn important. 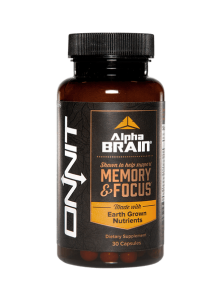 Side effects aside, the main effects of Alpha BRAIN focus on the brain’s natural cognitive pathways, namely the brain’s capacity for meditative alpha brainwave thinking. It’s a calm, relaxing, yet focus sharpening supplement that pairs well with caffeine (that’s otherwise not found in this stim-free supplement). All-in-all, Onnit supplies pretty safe, clean supplements. If I could leave you with one lasting impression of nootropics, it is that they are marvellous substances that can really help you to reach your potential — but certain nootropic substances may deserve greater caution than others. Evidence so far suggests that most genuine nootropics (as opposed to smart drugs) are likely safe in the short term. Any side effects are usually rare, often temporary and can be tackled. Know why you want to use nootropics in the first place and research your chosen nootropic carefully. In particular, ensure any nootropic stack has complementary ingredients that do not contradict each other, or stimulate certain brain processes too much. Understand each nootropic’s mechanism of action and how to get the best from it while taking the minimum dose possible on an ‘as-needed’ basis. Buy from verifiable quality sources if buying on the internet, avoid over-medicating and make sure to give your body and brain a break every now and again. I’d encourage you to stick with natural nootropics and, if you do need a more powerful punch, opt for well-researched synthetics, such as racetams or Noopept, as opposed to your more jaw-clenching stimulants — i.e., Adderall. The safety profile of nootropics is pretty strong on the whole. However, you’re absolutely right to point out that people need to figure out a stack that works for THEIR needs. Digestive issues are more likely when people dive in head first with a dose that would cause issues even for those who’ve been accustomed to nootropic substances for years. My advice is to start slow and build up to the minimum effective dose for you. Add and remove ingredients from your stack as required based on your goals at the time and your personal experience with the product. Tolerance is a real concern in the case of long-term use but you can desensitize your body to these effects by cycling appropriately. Also, good luck with the blog and keep crushing those reviews!